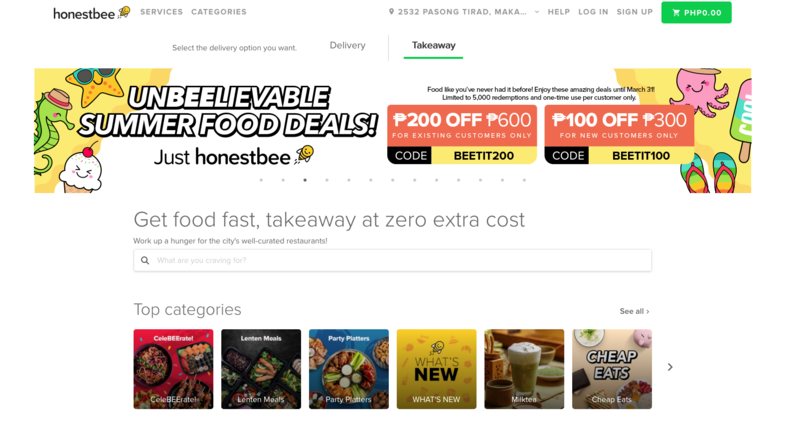 Heads up, people: Honestbee now has a takeout option. You’ve probably used the app before to have food or groceries delivered, but now you can use the app to order from a restaurant ahead of time and just collect your order there. “Our goal is to give our customers convenient access to their favorite food, whether that’s through delivery straight to their doorstep or getting them to go,” said Crystal Gonzalez, Honestbee Philippines’ managing director. This is a godsend for lazy people everywhere. Using the app or the website, you can order to go from joints like Bacolod Chicken Inasal, Outback, Max’s, Dairy Queen, and Greenwich. All you have to do is pick the takeaway option, set the time you want to pick it up, and then place your order. Depending on the restaurant, the app will also apply a special discount to your order, too. Honestbee is on the App Store and Google Play. For more information, you can visit its website.